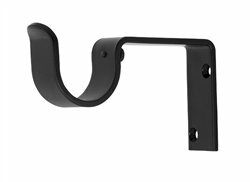 Charleston wall mount brackets for 1 1/2" diameter rod -- BasicQ Inc.
Wall mount brackets for the Charleston 1 1/2" diameter poles. 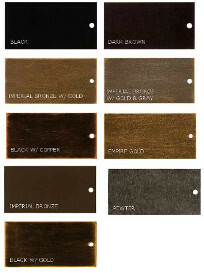 Black and dark brown colors are in stock, ready to ship. Custom colors take five to seven days to finish. Charleston collection by Design Elements.